PLUS (Professional Learning for University Students) provides a platform for a scaffolded, student life-cycle approach to career learning designed to create strong connections between a student’s university work, life experiences and their future career. The PLUS program emphasises achievable targets for students via a series of ‘bite-sized’ tasks and activities appropriate for each stage of the student life cycle. In 2016, PLUS was adopted by the Griffith Sciences Group as the platform to increase and improve curricula opportunities for students to develop their transferable and personal skills, contextualised by their discipline, to enhance their overall employability. Development of PLUS as a curricular strategy aligns with the shift in Australian higher education to ensure graduates are ‘job capable’, with the ability to apply their skills across diverse industries and in a diverse range of roles. This can be achieved by clearly and overtly attaching value to tasks, activities, learning outcomes and assessments that specifically relate to employability, and by providing the opportunity for students to identify, record and reflect on relevant co-curricular and extra-curricular experiences. The program is delivered via a series of inter-related worksheets and templates in an online personal learning platform that enables staff and students the opportunity to create links between diverse learning experiences, whilst simultaneously ensuring the flexibility for students to adapt their work to suit multiple purposes. Finkel, A. (2016, August 29). Time to change our university graduate expectations by degrees. Providers remake their operating models in the era of mass tertiary education. The Australian. Retrieved November 11, 2018, from http://www.theaustralian.com.au/opinion/time-to-change-our-university-graduate-expectations-by-degrees/news-story/8438b778cad5f7ab593697f3712acabf. Foundation for Young Australians. (2017). The new work smarts: Thriving in the new work order. Retrieved November 11, 2018, from https://www.fya.org.au/wp-content/uploads/2017/07/FYA_TheNewWorkSmarts_July2017.pdf. Queensland Government Department of Education, Training and the Arts. (n.d.). Towards a 10-year plan for science, technology, engineering and mathematics (STEM) education and skills in Queensland. 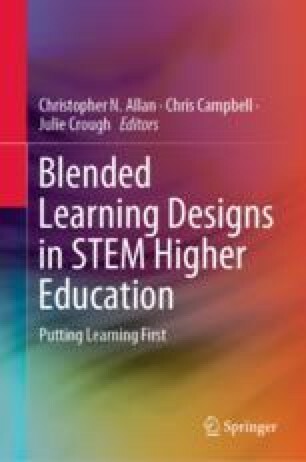 Retrieved November 14, 2018, from http://education.qld.gov.au/projects/stemplan/docs/stem-discussion-paper.pdf. Rogers, C., Fisher, A., Walker, L., Balmer, A., Brennan, K., Redmond, P., Whitmore, A., & Freeman, L. (2016). Academic advising for employability toolkit. Higher Education Academy. Retrieved November 11, 2018, from https://www.heacademy.ac.uk/resource/academic-advising-employability-toolkit. The Australian Industry Group. (2015). Progressing STEM Skills in Australia. Retrieved November 14, 2018, from http://cdn.aigroup.com.au/Reports/2015/14571_STEM_Skills_Report_Final_-.pdf.